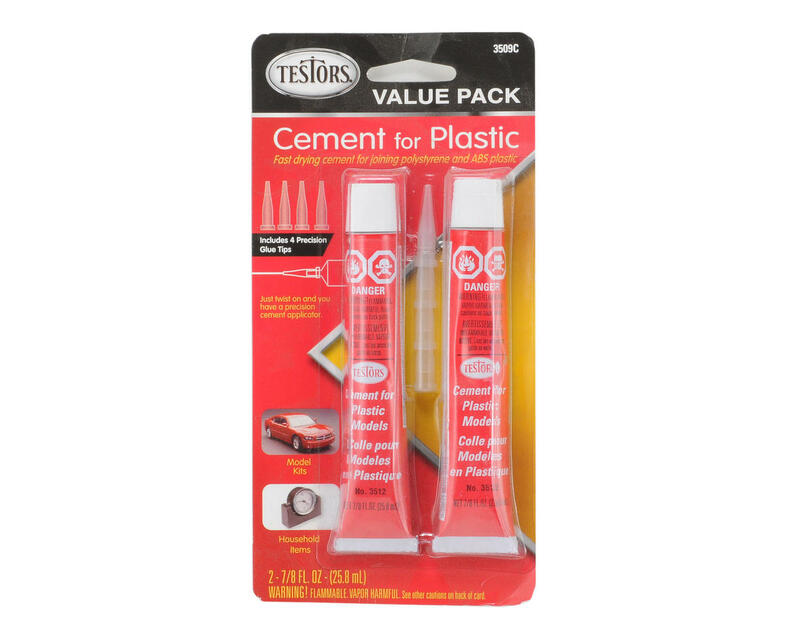 This is a pack of two 7/8 oz tubes of Testors Plastic Model Cement. 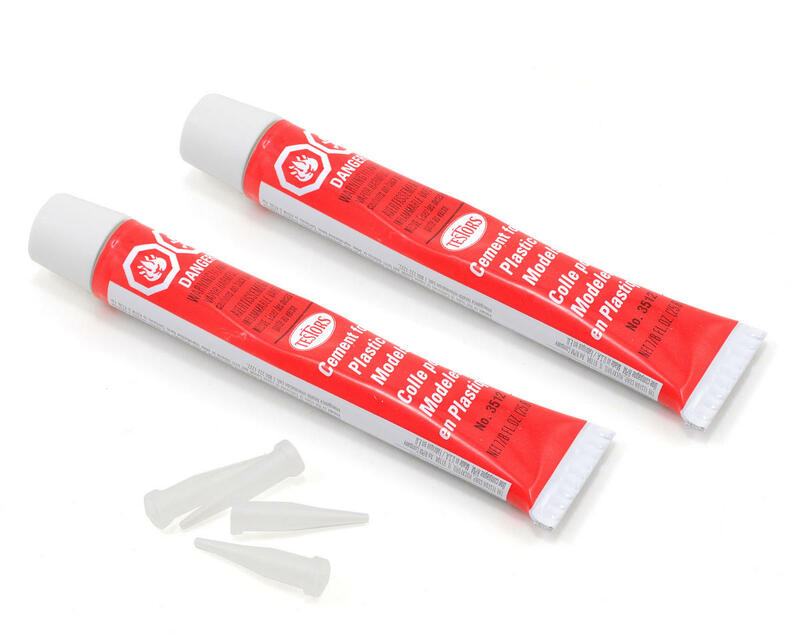 This pack includes four precision glue applicator tips. Testors cements have been used by hobbyists and craftsmen for over 75 years. The full range of Testors cements and glue are exceptionally strong, fast-drying and easy to use. They offer quality and convenience at a low price. Testors iconic tube of cement is the #1 selling Testors item in the hobby category. Both the standard and the non-toxic versions of Testors Cement for plastic are staples for the hobbyist.